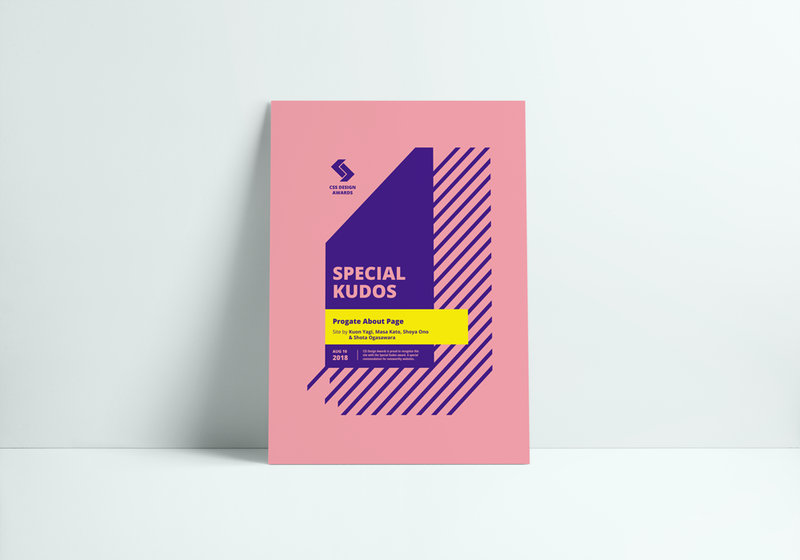 “Special Kudos” from CSS Design Awards | Progate - Learn to code, learn to be creative. We are delighted to have won a “Special Kudos” award from CSS Design Awards for our website. The webpage for which we received the award is the “Progate About Page” that had been renewed in August, 2018. While accelerating our global expansion, we needed to establish our corporate brand by redesigning the whole website. In the new page, we offer more information such as the founders’ messages and the introduction of our team members. Progate will continuously provide beginners with the best programming learning services around the world based on our mission, "Bringing creativity to everyone, everywhere”.